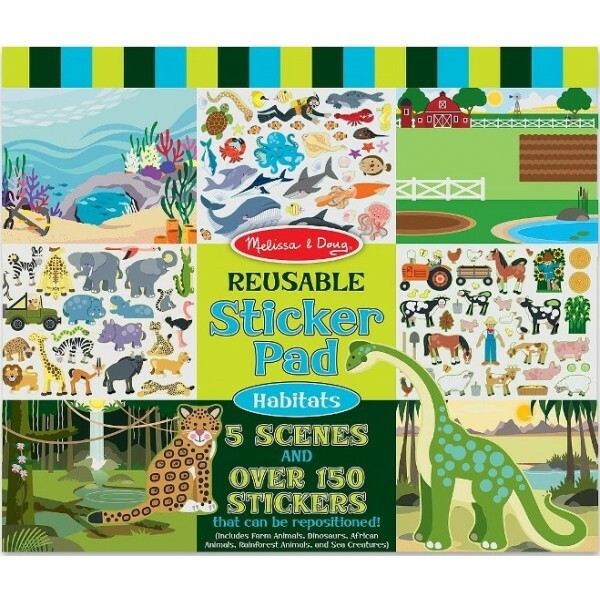 "Visit" a farm, a prehistoric landscape, an African oasis, a jungle, or dive deep into the sea, all in your imagination! 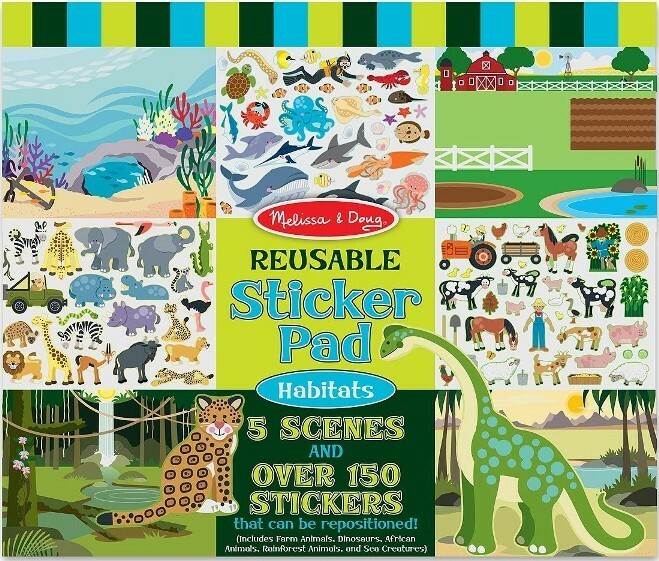 Over 150 reusable stickers of animals and people in different habitats to peel and position over and over. A great way to create beautiful images and spark opportunities for storytelling and conversation.